The kitchen, say the experts, will sell the house: an axiom that can’t be proved but which nevertheless rings very true. 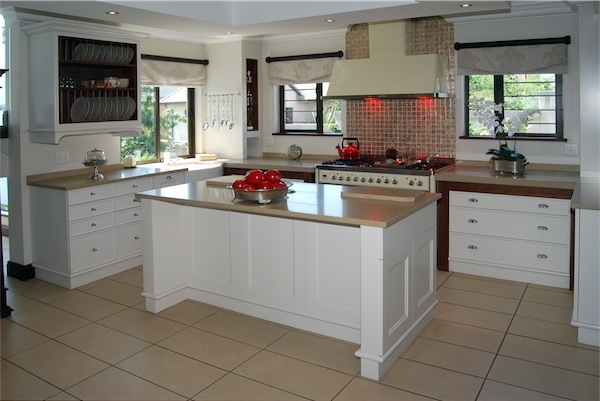 It is part of today’s house that, more than any other, will yield handsome dividends on your investment – providing you plan sensibly, choose the kitchen’s specific components carefully and apply good taste when it comes to decor. It is an integral part of our daily lives, and as such, it should function with ease, and not be an endless source of annoyance because it has been badly planned: a cupboard that opens the wrong way or an appliance fitted in an awkward position can cause continual frustration to the harassed cook. 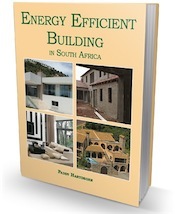 The principal aim of this post is to impart advice and ideas, both functional and imaginative, to those South African home owners who are thinking of fitting out from new or remodelling. We hope you will find some good ideas in this enticing range of South African designs. 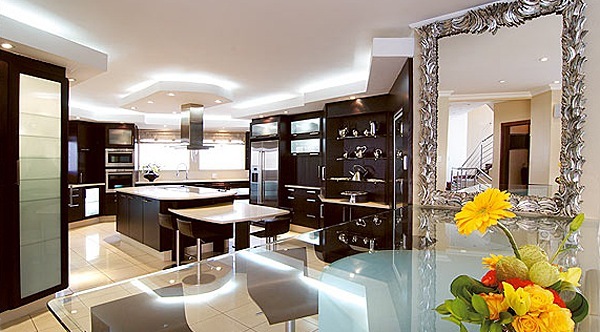 A wide open kitchen in contrasting light and dark colors. This small design has made perfect use of every bit of available space to have ample working surfaces and cupboards. This open-plan kitchen boasts a practical centre island with space for hi-stools can double-up as a counter for eating breakfast or for having a social cup of tea. 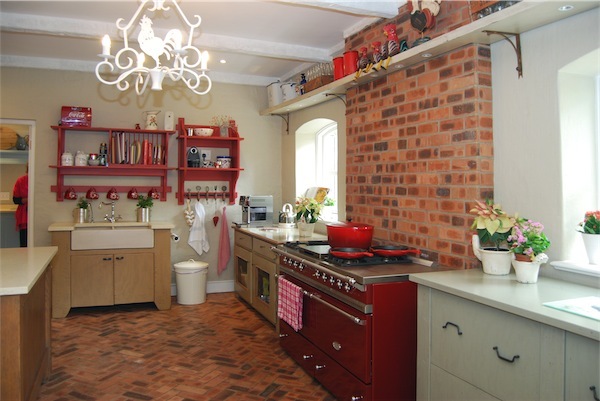 An eclectic retro-look with a rustic brick backing to the custom coloured stove. The practical and easy to clean floor follows the brick theme whilst shelves reflect the stove colour. 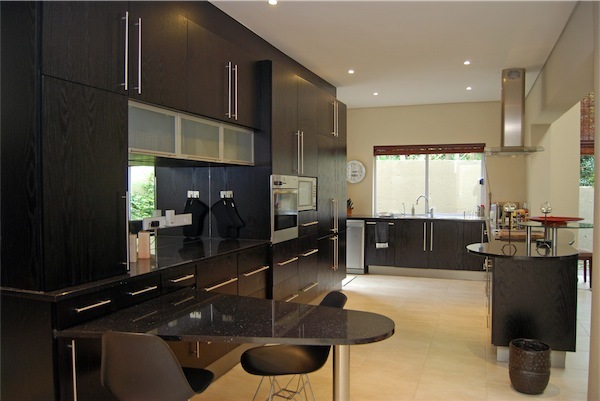 A neat design for a bachelor pad with all fridges and storage areas concealed behind glossy dark stained oak. This room is the heart of the home where the family can get together even whilst food is being prepared. 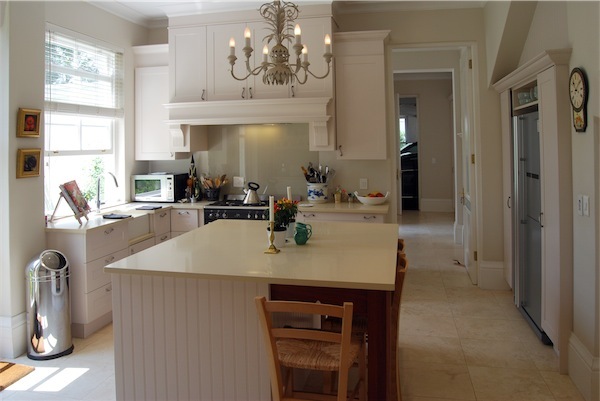 A classic design with a large centre island where meals can be prepared, as well as plenty of storage space below. 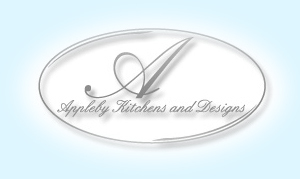 All these kitchens were designed, manufactured and installed by Appleby Kitchens. I have a kitchen with a space of 5000L x 3000W wall to wall would you be able to fit a 900 x 1200 island in the centre of the kitchen that has a gas hob mounted in it . Is there a minimum space required around a island that has a gas hob. 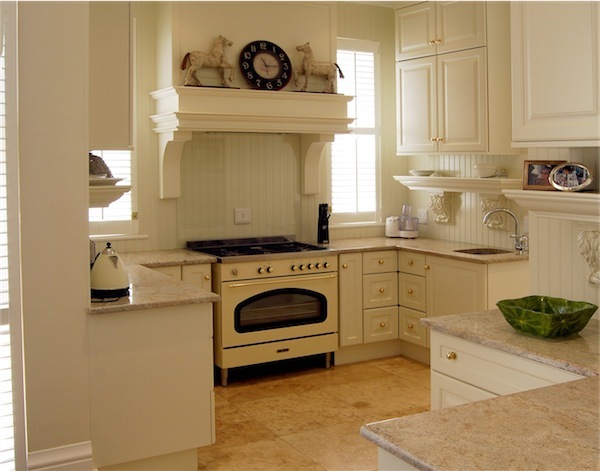 Rule of thumb is to allow about 900 mm around an island. It’s all to do with “traffic” flow. 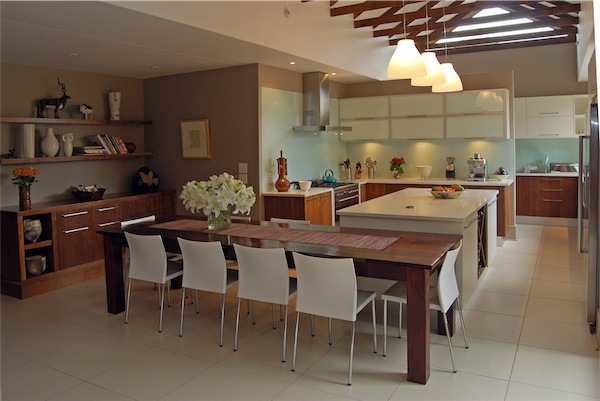 The kitchen is where a great deal of “working” and family time is spent and although necessary for it to be functional (the design layout is key) for optimal use, aesthically pleasing to work with the overall theme of the house should be considered. As this is where the greater percentage of the budget is spent on renovation / alterations, I would think it advisable to call in a designer to assist with being practical with the usage of the space. Often suggestions are made to clients of electrical positioning, plumbing points, lighting requirements, etc. things they have never considered as this is not their field of expertise. One comment was that you cannot have two stoves/ovens on one power line (as the cables are not thick enough to carry that much electricity) and that I will have to apply from the municipality for another power line. If I have to do, where do I start? The other comment was that I only need a separate trip switch. If I do install the stove/oven, must it be done by a certified electrician? How do I know if an electrician is certified and must the electrician provide me with a compliance certificate? I will really appreciate it if you can assist me with the query. Stunning aides. my wife is thinking of re-shaping her kitchen and definatekly, the above examples are of great help.